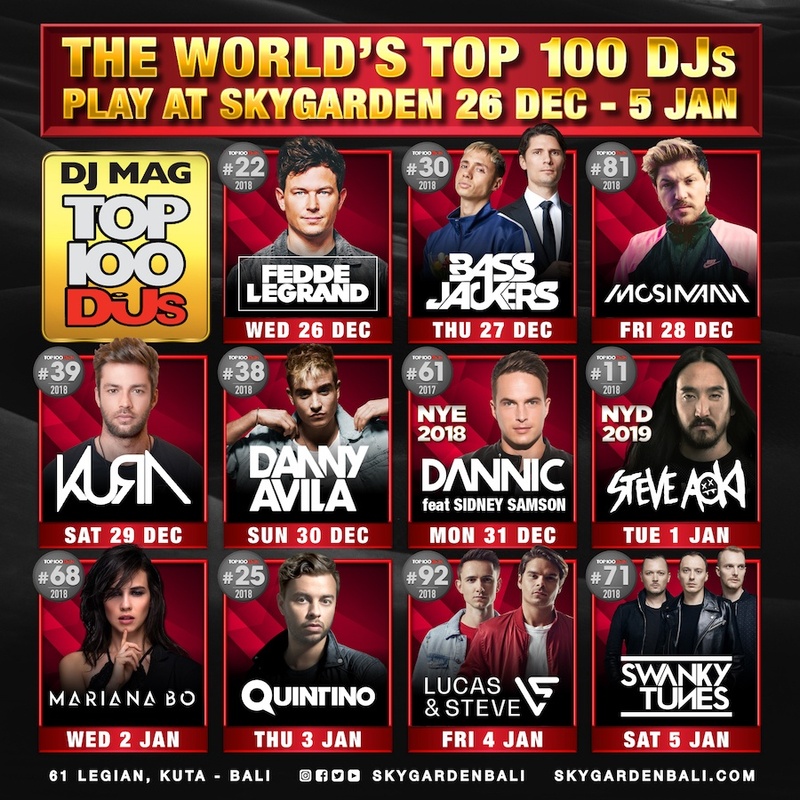 Bali’s biggest nightclub is staying true to its reputation and is bringing DJ Mag’s Top 100 DJ’s into Bali to celebrate the end of 2018 and the start of 2019! Including the return of legendary DJ Steve Aoki in Bali . That’s right, Sky Garden Bali has an epic line up set for 26 December 2018 – 5 January 2019. Of course highlights will be on New Year’s Eve, featuring Dannic and Sidney Samson and also New Year’s Day with the return of the legendary Steve Aoki. – General Admission IDR 250,000 or IDR 350,000 on the event day, VIP table starts from 5 million. 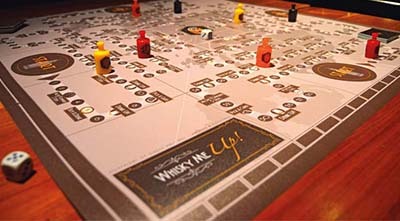 – General Admission IDR 500,000 or IDR 750,000 on the event day, VIP table starts from 7.5 million. 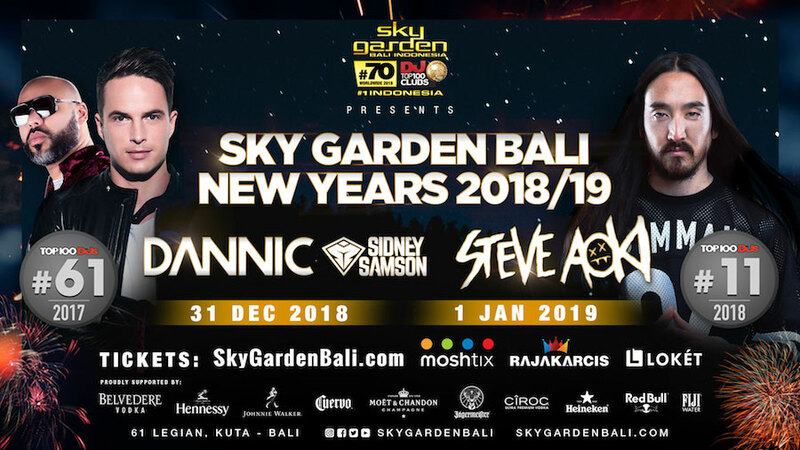 However, so many other top DJ’s will be playing at Sky Garden’s Sky Dome Super Club, recently voted as the #1 club in Indonesia (2018) and #70 worldwide (2018) by DJ Mag, Sky Garden is an expert when it comes to Bali’s nocturnal crowd. 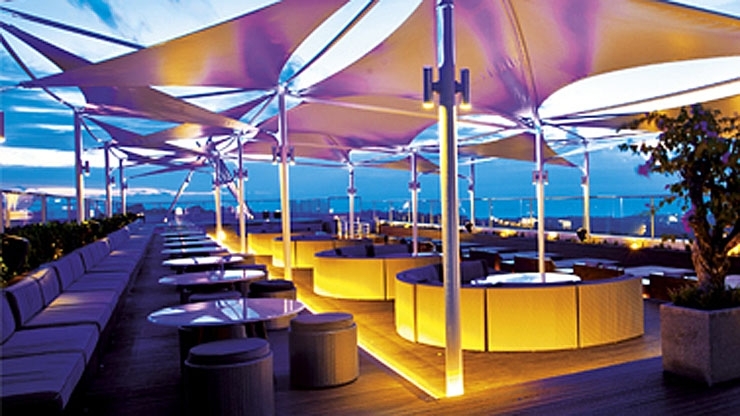 Home to numerous sections over many floors, Sky Dome is at the heart of it all. This huge, warehouse-like experience with state of the art lighting, laser shows and FUNKTION ONE speakers make it the ultimate party venue.